Phoenix, Arizona (November 2015) – ClassicCars.com is honored to announce that it has been ranked the #2 most influential automobile blog. According to NFC Performance, its top 100 list was determined based on in-house algorithms “using a weighted system incorporating social media signals, off-site signals, and on-site factors.” Social media presence, web design, and original, independent content were also utilized as part of the scoring process. 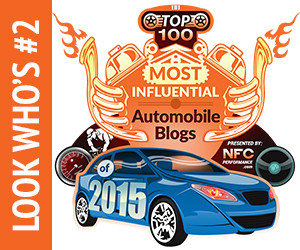 NFC Performance’s list of blogs focused on up-and-coming and independent blogs in the automotive community. ClassicCars.com’s blog, aptly titled Classic Car News, employs renowned automotive journalists Larry Edsall, Bob Golfen and Andy Reid, all of whom possess decades of classic car experience. The team also includes reporter Nicole James and several accomplished freelancers. The team’s coverage of the hobby ranges from auction news and event coverage to commentary on industry trends, and everything in between. For more info, please visit https://journal.classiccars.com/. Since its founding in 2007 ClassicCars.com has striven to offer innovative, entertaining content that educates newcomers to the collector world while remaining a community that supports the buying and selling of classic vehicles.